Emotions & Media – Jessica Gall Myrick, Ph.D. Welcome to my website. The pages here describe my research related to the role of emotions in media processes and effects. I’m particularly interested in how media and emotions can be harnessed for positive ends, from improved public health and environmental outcomes to greater civic engagement with policy issues. Please feel free to contact me with any questions or comments at jfgall@gmail.com or jess@psu.edu. I am an associate professor at the Donald P. Bellisario College of Communications at the Pennsylvania State University. I am also a co-funded faculty member of Penn State’s Institutes of Energy and the Environment. Prior to joining the faculty at Penn State, I received my Ph.D. in Mass Communication and a certificate in Interdisciplinary Health Communication from the University of North Carolina at Chapel Hill in 2013 and worked as an assistant professor at Indiana University from 2013-2017. Before I went to UNC, I worked in a variety of communications/journalism positions. I was a multi-platform broadcast journalist, a freelance magazine writer, a newspaper opinion columnist, and was the director of experiential education and recruitment for the former Indiana University School of Journalism. I am also an alumna of Indiana University. I hold a B.A. (Political Science, 2005) and a M.A. (Journalism, 2007) from the place. While attending IU as a student, I earned a Big Ten championship and three All-American honors as part of the cross country and track teams. Today, though, my running pace is much more leisurely. 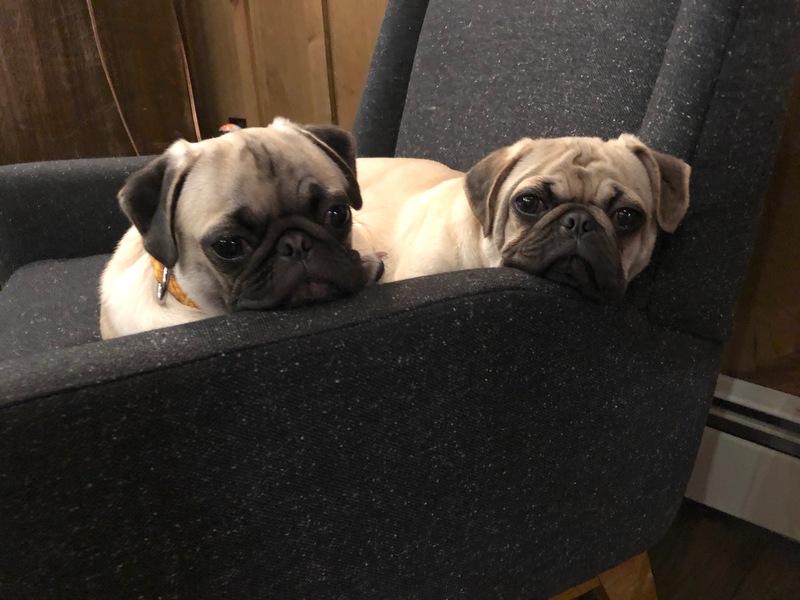 When I’m not researching, teaching, or in a meeting, I enjoy spending time with my husband, Scott, and pug dogs, Gilly and Pancake. I’m currently learning to play the ukulele (a long, ongoing process for the non-musically inclined, but enjoyable nonetheless). 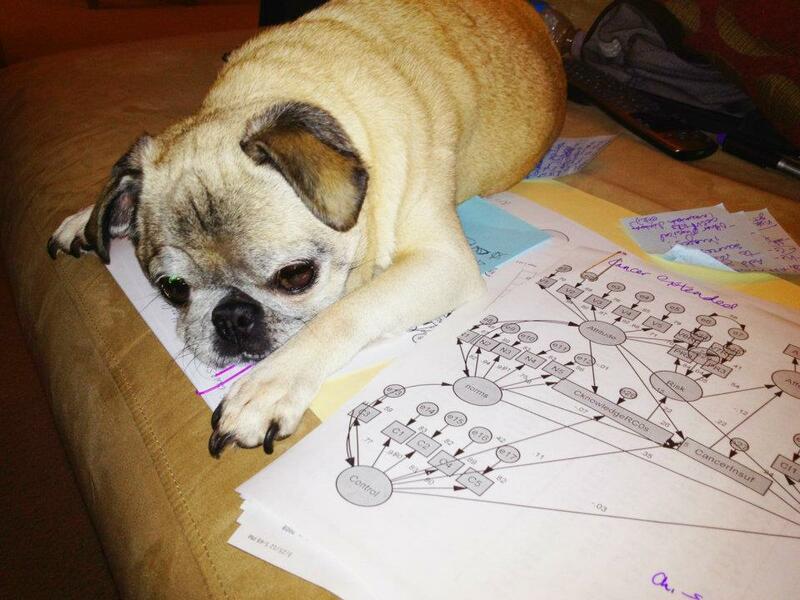 When in graduate school and as an assistant professor, Biscuit the Pug was my statistics consultant.